Black Partridge National Society of the Daughters of the American Revolution celebrated their 40th Anniversary October 8, 2018. 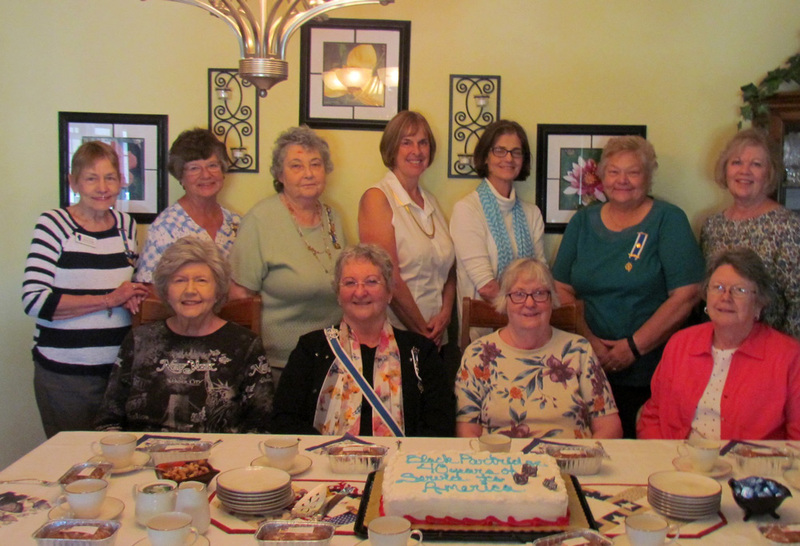 H. L. McAdams, the organizing regent from Eureka, and fifteen other ladies from the Eureka area formed the chapter on October 12, 1978. Black Partridge is one of over 100 chapters in Illinois. There are over 7,600 DAR members in Illinois. The State Regent, Gloria Flathom, presented the program entitled, "Until You Spread Your Wings, You Have No Idea How Far You Can Fly." She stressed that DAR has something for everyone. This is true because ladies from age eighteen and older may join if a Revolutionary Patriot is proven, and they can find one or more areas of interest to them and spread their wings and fly. Members might be interested in veteran affairs, DAR schools, genealogy, volunteer work, scholarships, conservation, Good Citizens, Junior American Citizens, history preservation, American history contests, and women's issues just to name a few. Our three areas of service to America is that of historic preservation, education, and patriotism with the motto of God, Home, and Country. Each chapter was encouraged to complete a service project during the month of October to honor the founding date of DAR, October 11, 1890. To fulfill our part, Black Partridge collected items and money that were given to the VA Illiana Home in Danville, Illinois. A celebration with anniversary cake followed the October meeting. If you have any questions or would like information about joining contact Regent Valerie Horton at 309-258 0548. We have members from El Paso, Eureka, Minonk, Metamora, Washington, Morton, and Pekin.